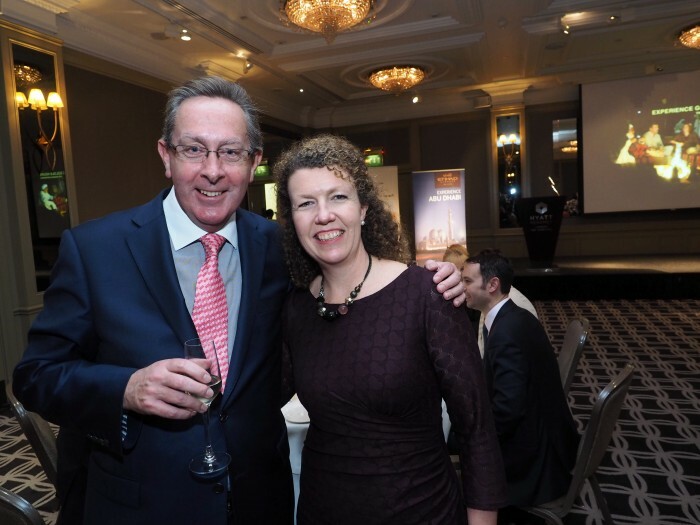 Travega MD Giles Harper recently attended an Abu Dhabi partners dinner in London to celebrate the 10th anniversary of Abu Dhabi’s UK office. Abu Dhabi is of course the venue for the Travel Convention, ABTA’s flagship event, taking place , 10- 12 October 2016. Travega are responsible for raising the commercial support for the event; for more information on a wide range of cost effective sponsorship options please contact us. 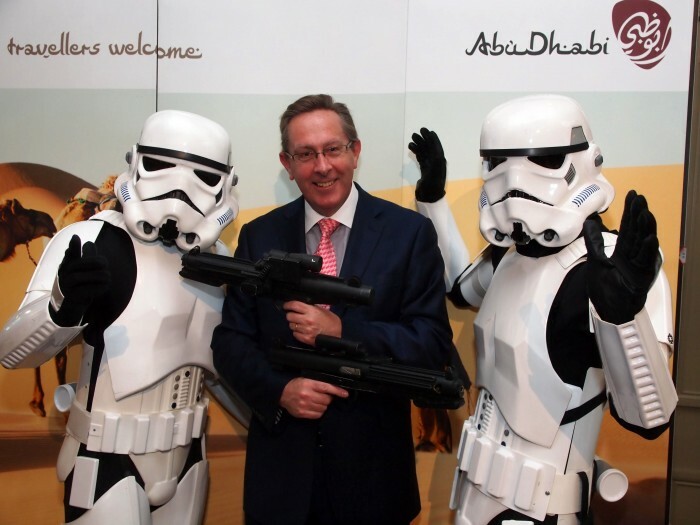 Travega MD Giles Harper with some unexpected guests! PS The desert scenes in the Star Wars movie were filmed in the Rub’ al Khali desert in Abu Dhabi.